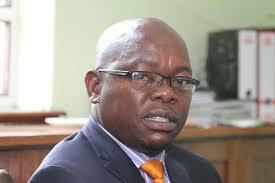 Harare City Council is set to review fees for discretionary services to boost revenue inflows. Some of the fees will be increased from 80 percent to as much as 400 percent. Discretionary services are those that ratepayers go to council for, such as building plan approvals, shop licences, stadiums and hall hire and leases for council property. The local authority will not increase rates for refuse and water. A proposed schedule seen by The Herald showed that all building plans submitted in terms of section 5 (1) of Chapter 2 of the Model Building by-laws, 1977, would be charged a fee of $5 for every $100 of the estimated cost of the building provided that the minimum fee would be $40. Commercial and industrial properties would attract a fee of $10 per every $100, with the minimum fee set at $100. Commencing work without approved building plans would attract a penalty of $2 000 for low density, $1 000 for high density, commercial/industrial $5 000 and any other structure $500. Prints of survey office standard plans and other charges would be fixed by the director of works in consultation with the finance director from time-to-time. Search fees would be increased from $23 to $50, photocopying A4 bond from $4 to $20, photocopying A3 bond from $5 to $15, while second Indication of Survey Beacons will be charged at $700 up from $400 for low density areas and $400 for high density stands up from $175. Fruits, vegetables and herbs vendors at Mbare Market are going to pay $100 up from $15, those dealing with sacks, plastics, tobacco and snuff were going to pay $50 up from $10. Operating a hardware in Machipisa would attract a fee of $150 up from $20. The city is also proposing new tariffs for the hire of its stadiums and recreational facilities. The proposed hire charges for Rufaro Stadium by ZIFA and Premier Soccer League would attract a fee of $400 up from $300, political parties, promoters and musicians would pay $1 400 up from $1 200. Proposed hire charges for Gwanzura Stadium would be $180 for ZIFA, PSL and international matches up from $50, while hiring City Sports Centre for sporting activities would cost $150 up from $100, while churches would be charged $2 000 from $1 000 for hiring the venue for eight hours. Private functions and political gatherings at City Sports Centre would be charged $2 500 up from $1 500, while musical shows would now attract a fee of $3 000 up from $1 000. The proposed tariffs were expected to be confirmed at a Special Council meeting to be held this week. City’s corporate communications manager Mr Michael Chideme confirmed the development, saying council had decided to maintain the billed fees at their present rates because they were for a basic need. “We realise that those are basics that people need everyday,” he said. “What we are under pressure to increase now are charges for on demand services like the fees for the housing waiting list and other attendant fees.